Vancouver, British Columbia - January 30, 2019 (Newsfile Corp.) (Investorideas.com Newswire) Mark Jarvis, CEO of Giga Metals Corp. (TSXV: GIGA) today announced analytical results from 38 of 40 holes drilled in 2018 on the Company's Turnagain Nickel/Cobalt Project. 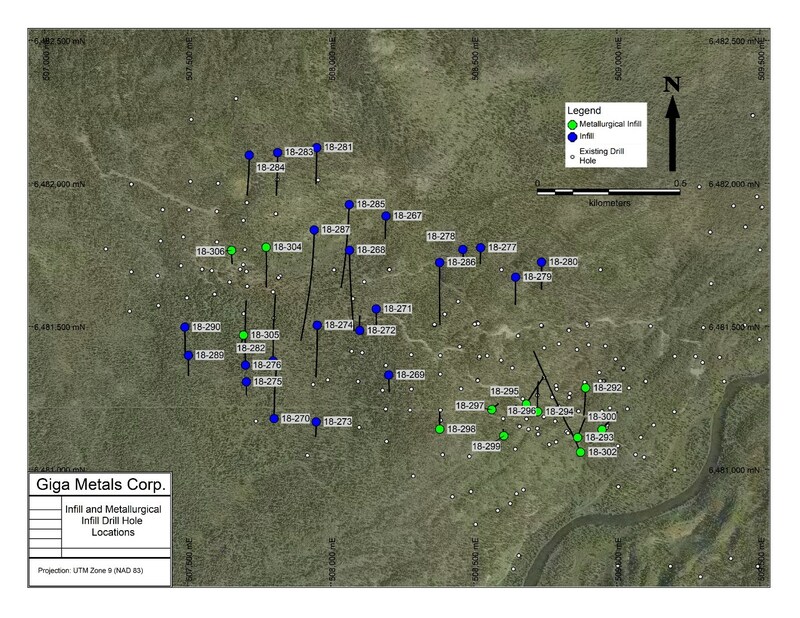 The Company is still awaiting assay results from one infill hole and one metallurgical infill hole, and these results will be announced when received. "The analytical results reported here further demonstrate the remarkable continuity of mineralization in the Horsetrail and Northwest zones," said Mr. Jarvis. "We expect the results to allow for the conversion of significant tonnes from the Inferred resource category quoted in our December, 2011 PEA to the Indicated category. The metallurgical infill holes within the proposed starter pits are expected to move some Indicated resources to the Measured category. Additionally, the Company now has at its disposal several tonnes of fresh new sample, representative of run-of-mine material, for metallurgical testing." DDH18-301 was drilled a few tens of metres below a previously intersected platinum- and palladium-enriched, structurally complex, suite of altered clinopyroxenites. The downhole interval of 238.00 m - 260.00 m returned an average of 316 ppb Pd and 355 ppb Pt at a vertical depth of approximately 185 metres. Greg Ross, P. Geo., a Qualified Person as defined by NI 43-101, has read and approved all technical and scientific information contained in this news release. Mr. Ross is the Company's Turnagain Project Manager.